This post compiles reviews from other websites, traveler feedback and our personal dining experiences so apologies if it’s a bit biased. 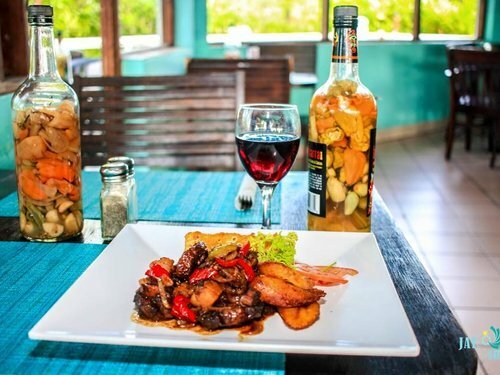 While we’d love to speak about every restaurant in Turks and Caicos as so many are memorable and deserving, we’re going to focus on our 10 favorite restaurants in the area. Here is our list and they are not ranked, simply included. 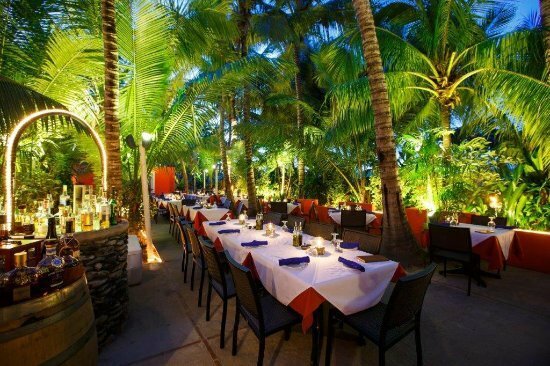 Coco Bistro: $$$$ Located in the heart of Grace Bay is everyone’s perennial favorite restaurant where Chef Stuart Gray creates a Caribbean culinary experience unlike all others. Reservations are a must and should be booked in advance of your arrival in Provo. The focus here is fresh, local ingredients creating vibrant local dishes including fish, lobster and lamb. This menu has something for everyone! 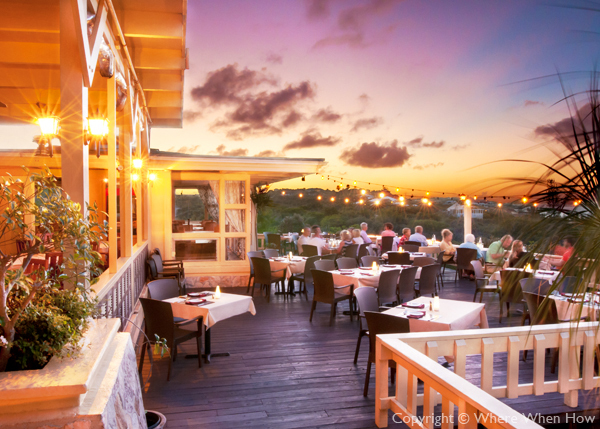 Magnolia Restaurant & Wine Bar: $$$$ Magnolia sits high above Turtle Cove Marina offering great sunset views for that romantic dinner with your loved one. Chef Carmen’s dishes range from European to Asian utilizing fresh tuna, New Zealand rack of lamb and local lobster tails. The sesame crusted, seared tuna has always been our favorite but you should come and decide for yourself. Magnolia also offers an extensive wine list if your celebrating a special occasion. 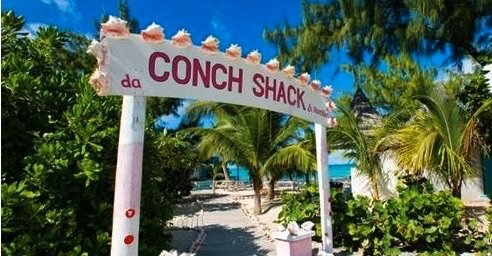 da Conch Shack: $$-$$$ Don’t be fooled by the name, da Conch Shack is a sizable brightly painted restaurant and bar on the water’s edge in the Blue Hills Beach area. Think picnic tables, swaying palm trees, sand between your toes along with tasty seafood and strong cocktails. On Sunday afternoons they feature reggae DJ’s creating that perfect chill vibe every vacation requires. Somewhere Cafe and Lounge: $$ We might be showing a bit of bias here but Somewhere Cafe will always be close to our heart, aside from convenience given it is on the grounds of Coral Gardens. 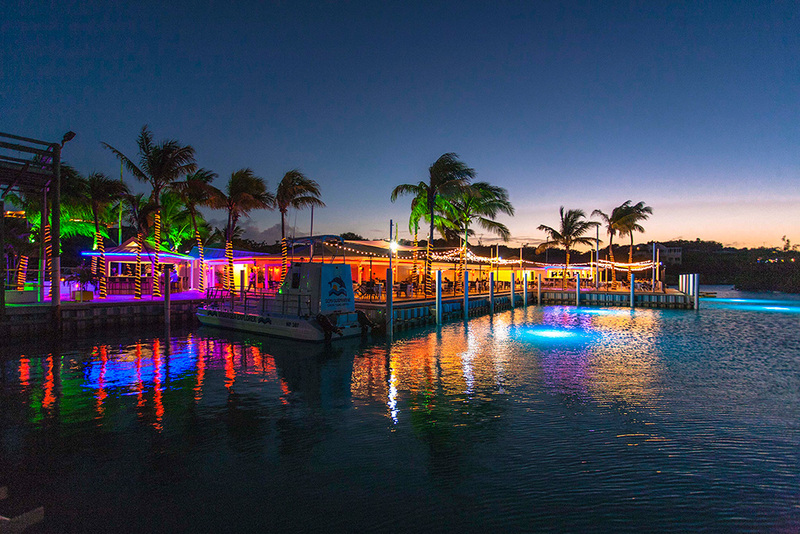 But we challenge you to find a more relaxing, vivid sunset in all of Grace Bay while the live music soothes your soul.. Enjoy fresh Tex-Mex favorites while sipping on a local beer or blended cocktail. Serving breakfast, lunch and dinner from 8:30am til 11:30pm. Cocovan: $$ Wait, you put a food truck on a Top 10 list? Yes, it is that good! 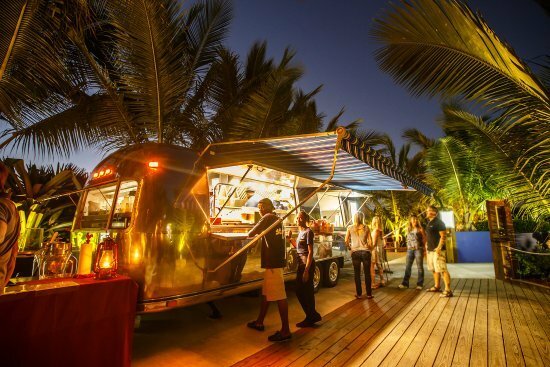 Cocovan is casual dining experience on the grounds of Coco Bistro while being served from a stylish Airstream trailer. Our favorites include Peking duck tacos, mac/cheese balls, and lamb sliders. There is a full bar staffed by talented bartenders and a great wine list. This is truly a “Don’t Miss” during your stay in Grace Bay. Mr. Grouper’s: $$ This place earns its spot with the food as this isn’t about a seaside view or sunset. 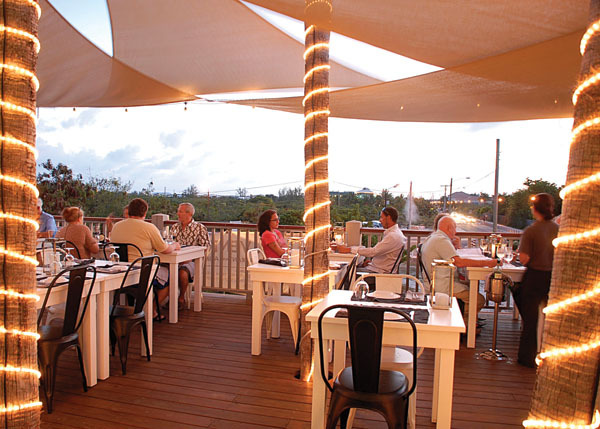 Mr. Grouper’s is all about fresh seafood, including: snapper, conch, lobster and of course grouper. Your fish selection can be served grilled or fried and always includes enough sides to make sure you go home satisfied. We hope you give Mr. Grouper’s a chance and you’ll soon feel like a ‘belonger’. Via Veneto: $$$ Need a break from the fish and burgers, then check out our favorite Italian restaurant in Provo, Via Veneto. Aldo and Catherine moved from Rome to Turks and Caicos in 2009 bringing their homemade Italian specialities to our islands. One note: pizza is ONLY served on Saturday nights so plan accordingly if the kids are craving pizza. Otherwise, 90% of the ingredients are imported from Italy and if you close your eyes while eating you just might think you’ve been transported to Rome. Provence: $$$ French cooking finds the perfect home at Provence. Oh wait, they also have homemade pastas and pizzas; how can you go wrong choosing between French, Italian or both? They offer dinner for 2 at $99 on Friday and Saturday nights which includes a bottle of house wine. Chef Eric utilizes his knowledge of French and Italian cuisines to produce some of the best dishes on the island. With 4.5 stars on TripAdvisor over 110 reviews, we believe Provence is a wonderful change of pace. Mango Reef: $$ This fun, brightly colored restaurant is situated in Turtle Cove and has just about everything you might want for dinner. 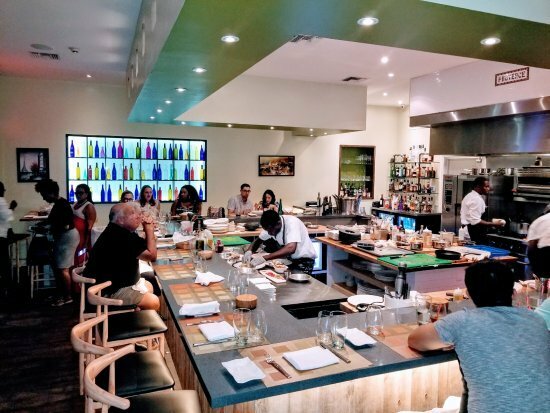 The menu is expansive, including the likes of: grilled whole snapper, coconut encrusted shrimp, 16 oz T-bone steak, curry dishes and even Dominican paella. We’ve seen reef sharks swimming in the marina waters here, if you see them have the kids toss some bread in the water and watch what happens. 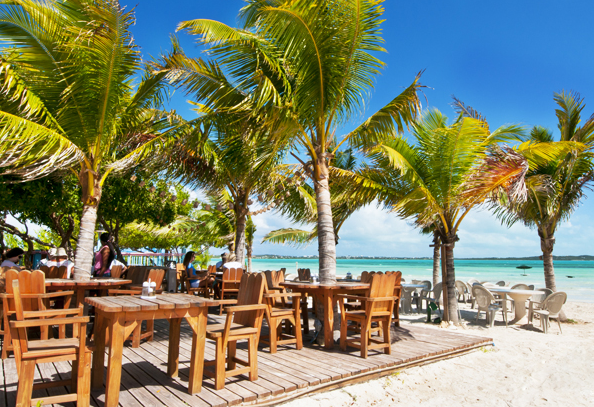 Bugaloo’s: $$ If you want to get away from the crowds, then head to Bugaloo’s in Five Cays and enjoy a relaxing lunch/afternoon on the beach. 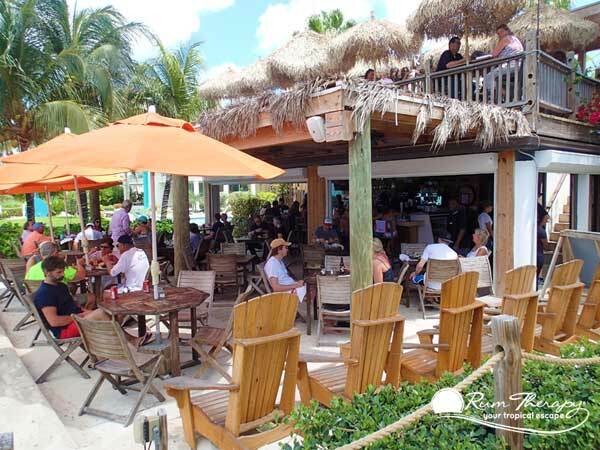 The appetizer menu is conch every way you could imagine served alongside hamburgers, fish burgers and fresh fish dishes. Bugaloo’s is the epitome of relaxation and tranquility. As you can see most restaurants in Grace Bay about 1-3 miles away from Coral Gardens and an easy drive. We hope this list provides you some inspiration while planning your visit to Turks and Caicos. We hope you enjoy your visit and dining adventures.